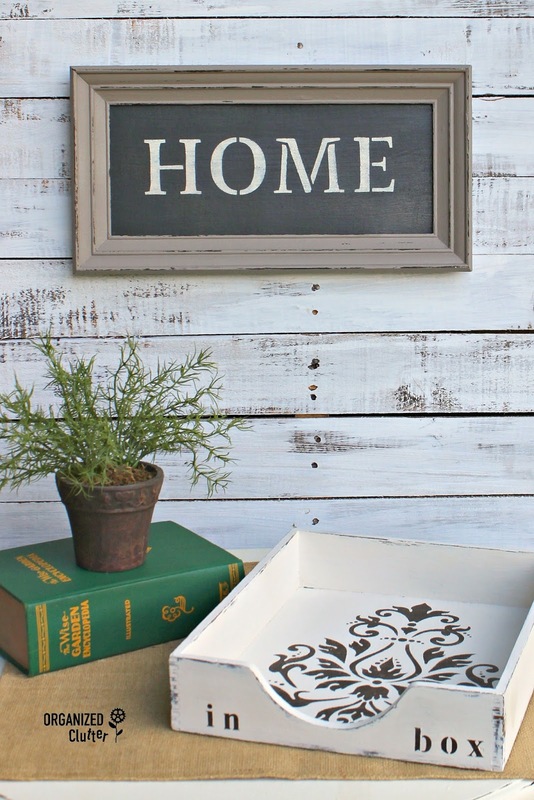 This wooden "in box" was one of my August Thrift Shop & Garage Sale Finds. I sprayed many coats of Zinsser Clear Shellac Spray to cover some ink stains in the bottom of the box first. 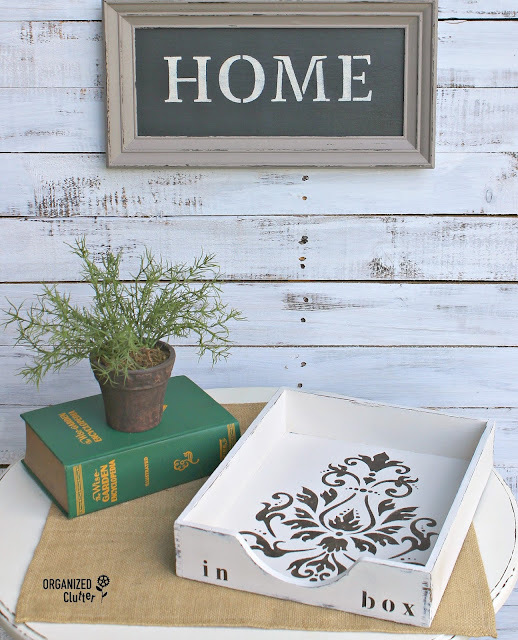 The next step in my upcycle was to paint the box with Dutch Boy Chalky Finish Paint in Antiquated Lace. I purchased my paint at our local Menards. I use these Momenta Alphabets and Numbers Adhesive Stencils all the time for small lettering, like my project words, "in" and "box". 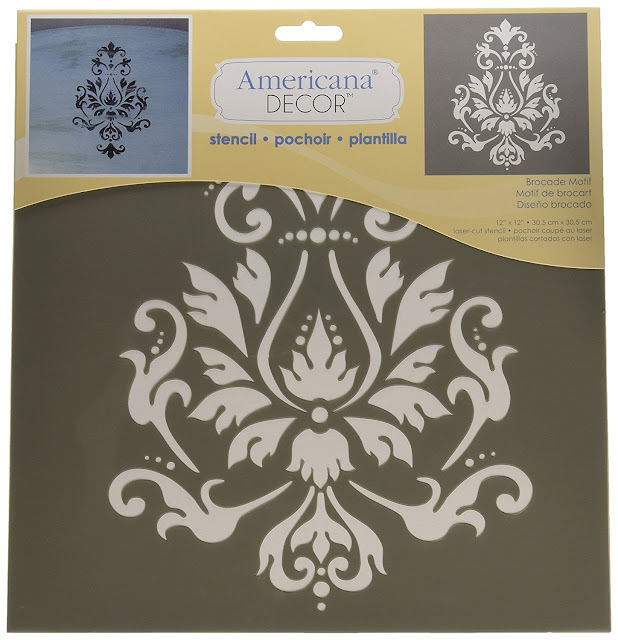 I am also using this Deco Art Stencil Brocade Motif for the very first time. I cut the sides off on my stencil to fit in the tray. 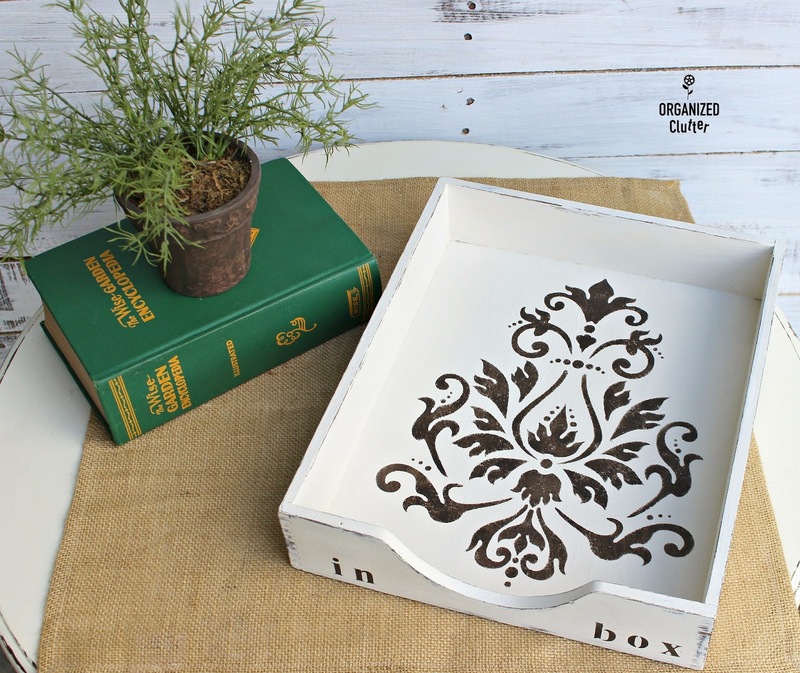 I used Ceramcoat Acrylic Paint in Walnut for the stenciling. 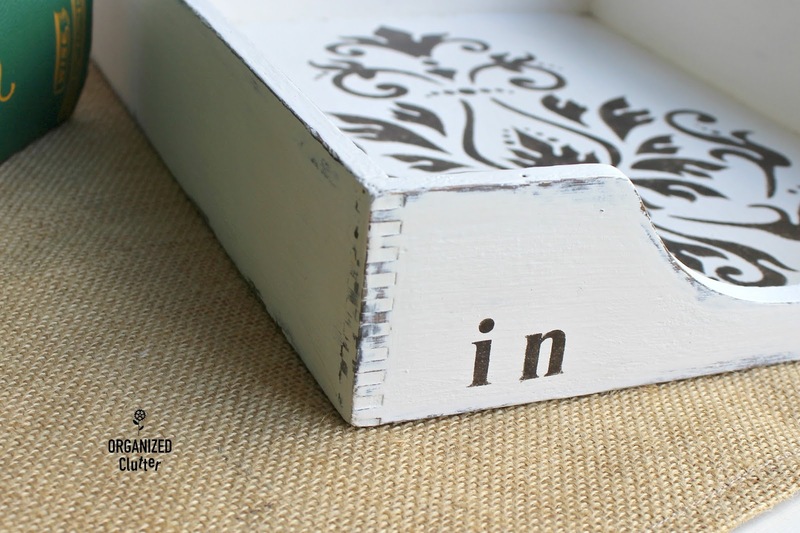 I wanted the dovetailing to show on my in box so I didn't sand to distress the edges, I wet distressed them with a rag. Since this project was freshly painted, the paint rubbed off fairly easy. You can use a pot scrubber if the paint has cured. I think this "in box" is going to have to go on my desk! It's really too pretty to fill with mail! I sealed the project with Krylon Matte Finish Spray . 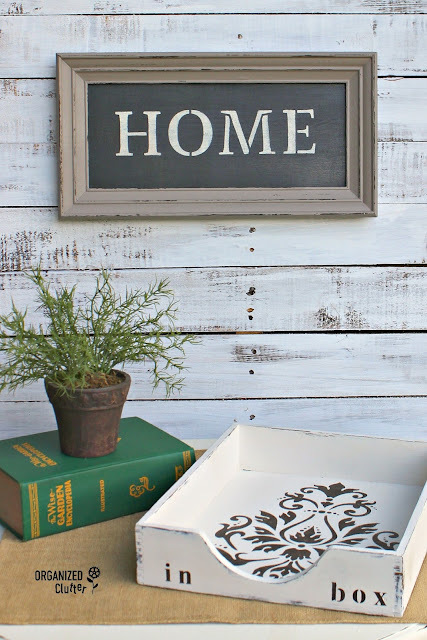 Make your own HOME sign from a garage sale framed print here. Hi Carlene - pinned. Looks great as well as handy.